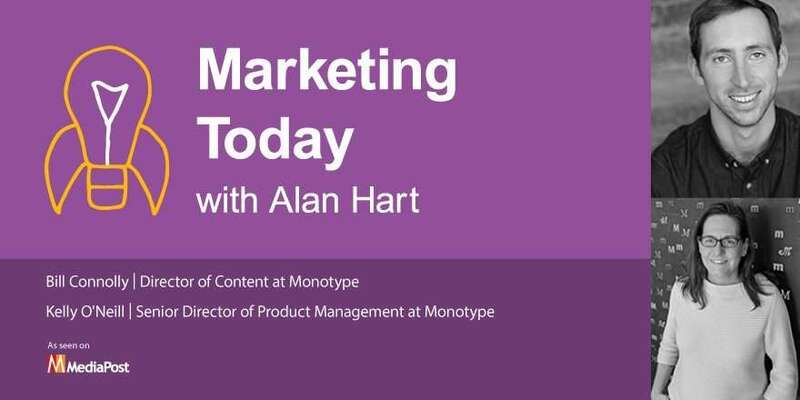 At the Adobe Summit, Alan had the opportunity to talk with Kelly O’Neill and Bill Connolly of Monotype, a foundry that is home to some of the most-recognized fonts in the world, among them are Arial, Gill Sans, and New Times Roman. At Monotype, O’Neill is senior director of product management and Connolly is director of content. During this conversation, O’Neill and Connolly discuss Monotype’s heritage, its evolution into a brand company, and the challenges and opportunities emerging technologies, VR and AR in particular, have provided. They also discuss their companies acquisition of Olapic and how that company aligns with them strategically.